Aug 24 Call Redialed: Max Vernon: Joe's Pub Residency: "Existential Life Crisis Lullaby"
It's so great to get to catch up with Max Vernon after speaking with him last year about his critically acclaimed show The View UpStairs. Max is one of our next generation playwrights that writes compelling, timely, and unique shows with an edge. This Fall, Max is returning to Joe's Pub with a new residency called Existential Life Crisis Lullaby that will play September, October, and November. Each month will have a different director, cast, set list, and costumes. No show will be the same, so you'll have to get tickets to all three! 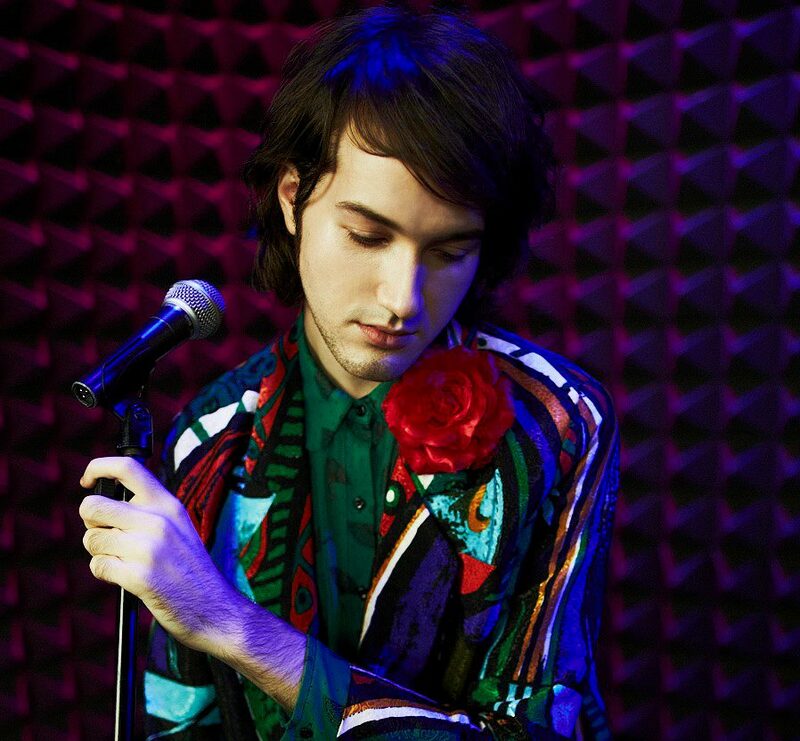 Max Vernon: Existential Life Crisis Lullaby will play Joe's Pub (425 Lafayette Street) on September 25, October, 23, and November 27 all at 7pm! Click here for tickets! For more on Max visit https://www.maxvernon.com and follow him on Facebook, Twitter, YouTube and Instagram! 1. This fall you are having your debut residency at Joe's Pub. What made now the right time to do a residency and why did you choose Joe's Pub to make this premiere? I turned 30 a few months ago, which triggered a lot of reflection. I write weird, form-breaking musicals about things like the apocalypse, tattooed Ladies and the freak show, Korean pop stars, forgotten moments in queer history, etc. My work is political, unapologetically in your face, and breaks a lot of the “rules” in musical theatre. So over the past decade I experienced pretty much constant rejection. But then suddenly, I had this breakthrough year - The View UpStairs and KPOP played to a combined 50k+ people - The View UpStairs has gone on to have 12 new productions around the world, KPOP was the most nominated Off-Broadway show last season, and so many people I really admire got to experience my work (RuPaul, Lin Manuel, Tina Fey, David Byrne, etc.) So, I want to celebrate all of that and do something wild and spectacular. 3 shows, 3 decades of being alive, 3 musicals, and 3,000,000 costume changes. Joe's Pub is my favorite venue in the city, but I haven't had my own show there in six years, so I was overdue for my return. 2. Your residency is called MAX VERNON: Existential Life Crisis Lullaby. Playing with this title, what kind of existential life crisis are you having right now? Oh everything: Why am I alive? How do I dismantle the patriarchy and late capitalism? Is the world ending? Is creating art important? What color eyeshadow do I wear today? What flavor bodega Ice Cream should I eat at 2am? The world is scary sometimes, but we're all in this together. It's meant to be comforting. 3. You will be performing this show September, October, & November. Each month will have a different director, cast, set list, and costumes. How did you decide you wanted to have this kind of format as opposed to one show over multiple nights? Well, I can't seem to do small intimate things. It's just not my style. I think in some sense I create theatre because I love the surrogate creative families that get created with each experience and show - And at this point, my creative family numbers well over 500. So it felt important to me symbolically/emotionally/creatively to pull out all the stops and celebrate everything and everyone who has been on this journey. 4. What has been the most challenging part about putting this residency together? I never call in favors; I pay everyone. That has always been super important to me. But even though I'm Off-Broadway famous, I still have an Off-Broadway bank account. So even selling out three shows at Joe's Pub, I know I'm going to lose thousands of dollars because of the sheer amount of spectacle. That's stressful. But also worth it to me, because I want to create an experience. 5. What can you share with us about each show? Each of the three shows will have songs from all my different pieces, but September will focus on The Tattooed Lady, October on The View UpStairs, and November on KPOP and Show & Tell. The guests are bonkers - a dope AF crew of downtown performers, queer cabaret icons, theatre legends, and some upcoming legendary children I need you to know. 6. How did you decide on who you wanted to direct each month's show? I'm really about collaborating with femme-identified artists pretty much always, but particularly at this moment. My three directors - Ellie Heyman, Jaki Bradley, and Jenny Koons – are three of the most badass, creative genius women I know. I know that they're each going to bring something unique and different experientially to each show. 7. One of the month's is being used to premiere some material from your newest show The Tattooed Lady. What can you tell us about this production? It's inspired by the lives of Tattooed Ladies from the golden age of freak show between 1880-1920; people like Maud Wagner, Nora Hildebrandt, and Artoria Gibbons. I'm writing it in collaboration with Obie Award winning playwright Erin Courtney, and it's weird as hell in **all** the right ways. 8. Many of the costumes in this residency have actually been made by you. What do you love most about making costumes? The glue induced brain damage, waking up every morning with rhinestones stuck to my leg, and the constant sequins I discover on the bottom of my feet. That and the chance to transform myself. Sometimes it feels like we are helpless to change anything in this world, but costumes allow us to change ourselves, and thereby change how we see/are seen by the world - which is empowering in its own way. 9. Press notes state this residency will be a celebration of tattooed ladies, Korean pop stars, 70’s queer culture, the apocalypse, sentient robots, aging club kids, homicidal hipster cults, and true love. Let's have some fun with these...Favorite tattooed lady? Favorite Korean Pop star? Have you found your true love? My favorite Tattooed Lady is probably Maud Wagner, because she was also the first Female Tattoo artist in American history - I love that she was both a muse/canvas to others and a master in her own right. My favorite KPOP star is Taemin, from SHINee. And I have found my true love - His name is Chris. He's a handsome, kind-hearted journalist who cares about social justice. He's very tall. We're going on 4 years. 10. With all your recent accolades, award nominations, and buzz about your work, what is "The View UpStairs" like now as opposed to before all this notice was taking place? (I don't mean this question in direct relation to the show). I don't think I know yet. I'm still climbing. Max Vernon, who has emerged as a singular and eccentric voice in the world of musical theatre, is a three time Drama Desk nominee, “Out 100” Honoree, and recipient of the Lucille Lortel Award for Best Musical, Richard Rodgers Award, Jonathan Larson Grant, New York Stage and Film's Founders Award, New York Foundation of the Arts Fellowship, and the JFund Award from the Jerome Foundation. He has been a Dramatist Guild Theatre Fellow, MacDowell Fellow, and an artist in residence at Berkeley Rep, Ars Nova, Kimmel Center (via The Public Theater), Disney Creative Entertainment, and Rhinebeck Writer’s Retreat, among others. His musical, The View UpStairs, ran 105 performances Off-Broadway and will have ten new productions around the world in 2018-2019; original cast recording on Broadway Records. His other musical, KPOP, enjoyed a sold-out, extended run at Ars Nova this past October and was the most nominated Off-Broadway show of the 2017-2018 season. Notable concert performances include the Kennedy Center, Lincoln Center, Joe's Pub, and The Metropolitan Museum of Art. Aug 25 Facetime Interview: Emmy Winner Dorothy Lyman & "Blue Bloods" Abigail Hawk: "In The Bleak Midwinter"